Check out Northeast Wisconsin Chapter Executive, Steve Hansen on Oshkosh Today talking about our Home Fires Campaign! Do you practice that plan? Have you checked your smoke detectors? 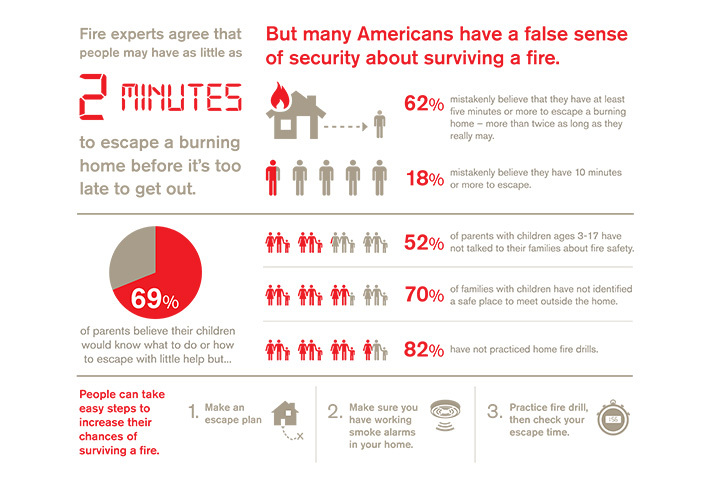 Do you have a smoke detector on every level of your home? Some simple tips that could save your life! 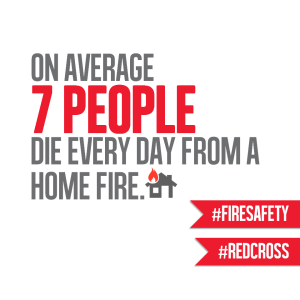 Recently, the American Red Cross announced a new campaign throughout Wisconsin and across the country to reduce deaths and injuries from home fires by as much as 25 percent over the next five years. Two days in December, teams will visit 500 homes in Kaukauna to install smoke alarms and provide fire safety tips and review escape plans with residents. The door-to-door outreach team includes Red Cross volunteers & staff, the Kaukauna Fire Department, Volunteer Center of East Central WI, Outagamie County CERT and Team Rubicon. Sunday, December 7th 9:00am – Canvas targeted neighborhood with door hangers in advance so residents know we are returning the following Saturday with smoke alarms and information. On both dates, we will meet at the Kaukauna Fire Department on 206 W. 3rd Street. We will create teams, distribute supplies and then go door-to-door. Teams will be partnered with local fire departments to install smoke alarms in homes that need them and teach people about what they can do now to be prepared should a fire break out in their home because working smoke alarms cuts the risk of someone dying from a home fire in half. The Red Cross responds to nearly 70,000 disasters each year in the United States and the vast majority of those are home fires. Throughout Wisconsin, the Red Cross responded to more than 900 residential fires last year. You can help people affected by disasters like home fires and countless other crises by making a donation to support American Red Cross Disaster Relief. Your gift enables the Red Cross to prepare for, respond to and help people recover from disasters big and small. Visit redcross.org, call 1-800-RED CROSS or text the REDCROSS to 90999 to make a $10 donation.